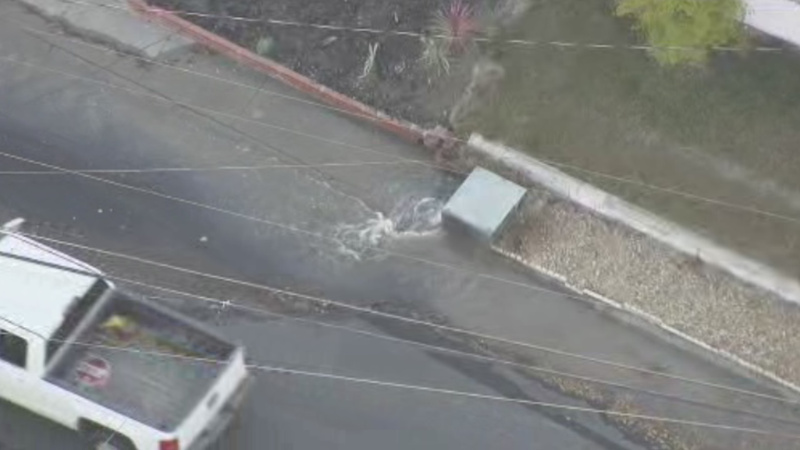 LAFAYETTE, Calif. (KGO) -- A water main break kept crews busy Wednesday morning in Lafayette. Water started gushing out onto the street around 8:30 a.m. on Timber Lane near Highland Road. It went on for at least a half an hour before crews capped it. A viewer told ABC7 News someone paved or asphalted over the shut off valves making it difficult to turn off the water. People living in the area, near the Lafayette Reservoir, lined sandbags around their property for protection. It's not clear if any homes were flooded.